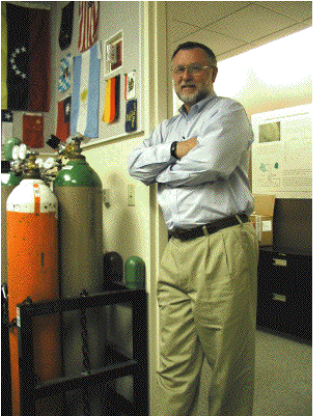 Jim Ehleringer is a Distinguished Professor in the School of Biological Sciences at the University of Utah, where he directs the Stable Isotope Ratio Facility for Environmental Research and maintains a research program in the environmental sciences. He served as director of Utah’s Global Change and Sustainability Center from 2009-2015. His research has spanned from ecological studies of natural and urban systems through atmospheric trace gas studies and forensic science. Throughout his academic career, Jim has also focused on creating the facilities and organizational structures to advance interdisciplinary science and provide new opportunities for others. He launched IsoForensics, a spinoff company focusing on applications of stable isotope analyses. Jim's recent research projects have melded stable isotope analyses with process studies to understand carbon and water cycles, air quality in urban zones, humans and our foods, and biomarkers in climate studies. Jim and his wife Edna moved to Utah in the late 1970’s, where they put down roots, established educational careers, and raised a family. Edna recently retired from a distinguished career as a teacher and administrator in the Jordan, Granite, and Salt Lake City School Districts. Together they enjoy gardening, traveling, hiking, and most of all, spending time with their grandchildren. Click here to see Jim's curriculum vitae.